I don’t know if it’s the time change or some of the quite chilly days we’ve had on and off recently, but I am definitely in bear hibernation mode. All I want is to lay on my couch in my pj’s, read a book, and eat carbs. Hot carbs, preferably. 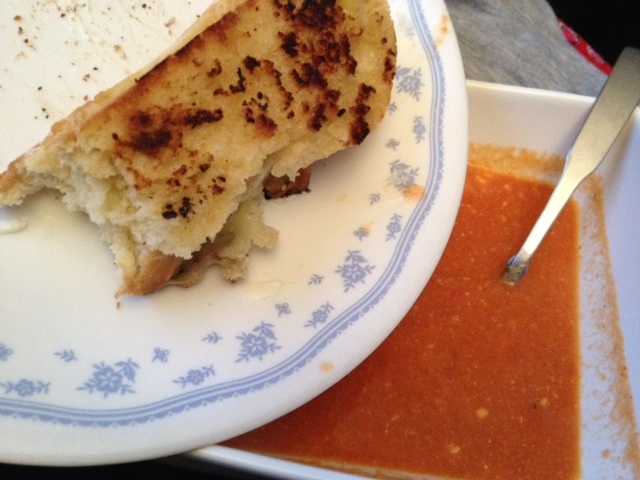 I am super craving comfort food, which is not a good sign for how the rest of this winter will go. But I happened on this recipe on Pinterest, and a couple things intrigued me. First, I loved that it was nice and creamy (I’m not big on completely broth-based soup), but doesn’t actually call for that much heavy cream (which just plain isn’t good for you). 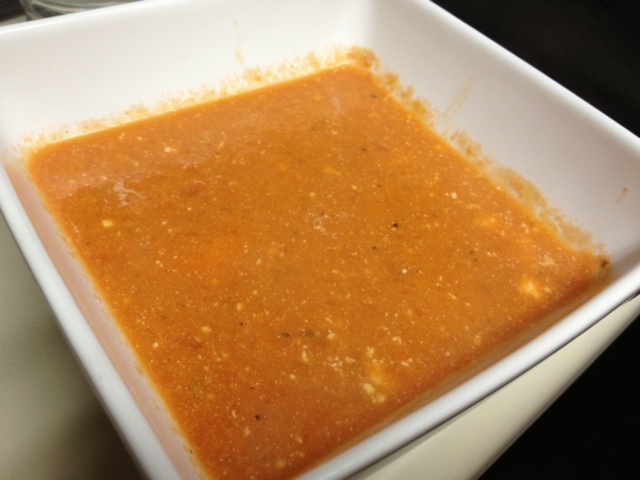 Also, the goat cheese was a nice twist and added a cool flavor, while also making it a little heartier than a regular tomato bisque might be. And the best part? 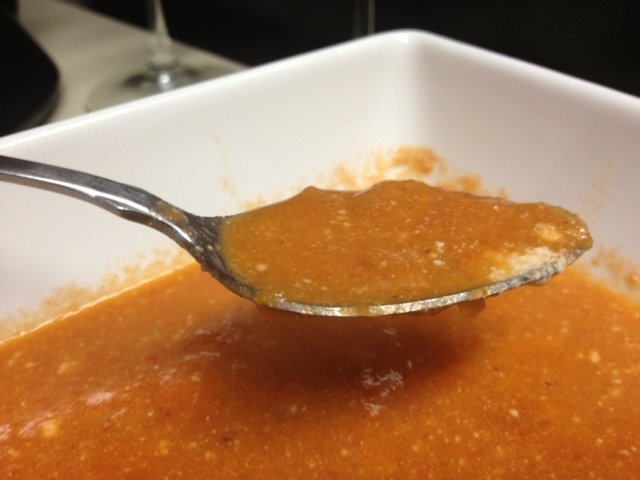 It was super easy and really quite quick—no waiting 3-5 hours while it cooks in a crockpot. Look at that face. 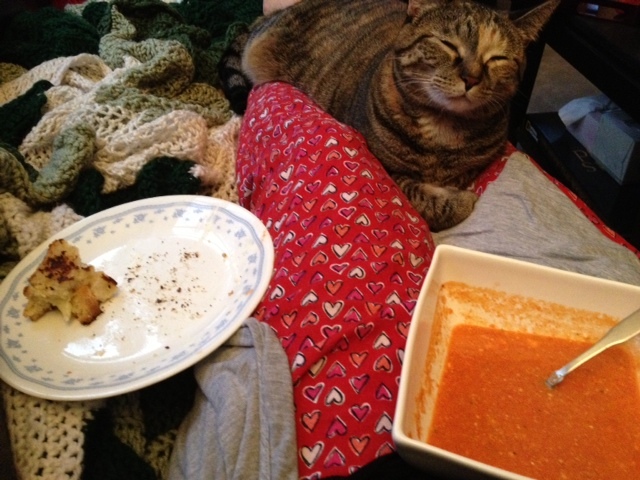 She kept slowly reaching out her paw like, “Please, sir, can I have some more?” Pitiful. Roughly chop the onions. 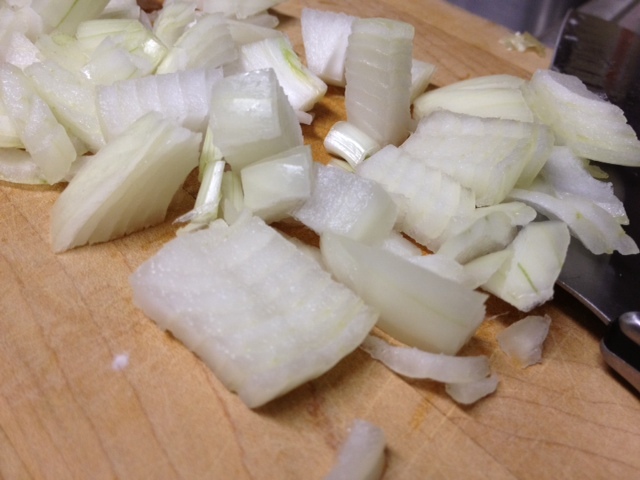 How big the pieces are is completely up to you and how much you like chunks of onion. I thought they gave the soup nice texture. 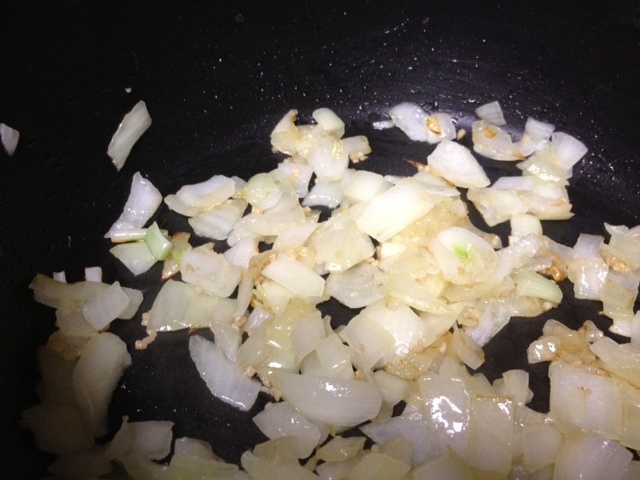 Heat a big saucepan on medium and add the onion and a tablespoon or two of oil. Saute for 5-7 minutes, until the onions soften and start to become translucent. Add the garlic and cook for another minute or so, stirring. So, the type of tomatoes you use is quite important. 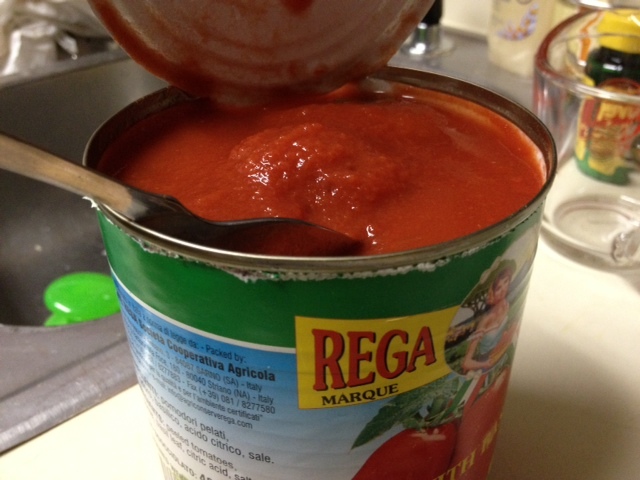 You don’t want to just use the regular canned tomatoes in your grocery store aisle. 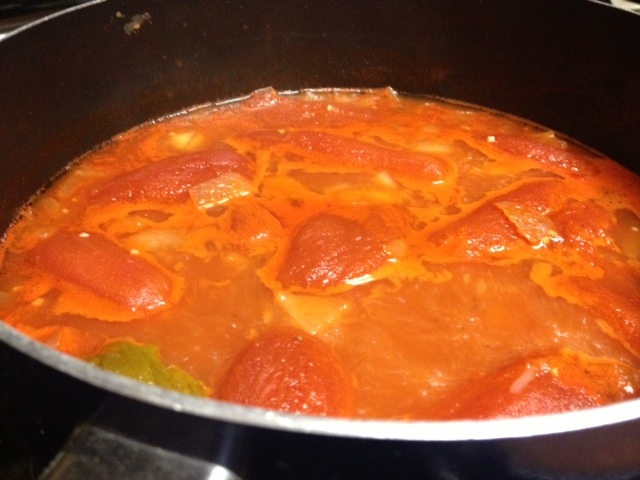 You want to use whole, peeled San Marzano tomatoes from Italy. They come with basil in them too, looks like this. I got mine at a big farmers market, but the Italian section of my Kroger (next to the pasta) has some Dellalo ones too. Pour the whole can (juice and all) in with the onions and garlic, and season with salt and pepper. 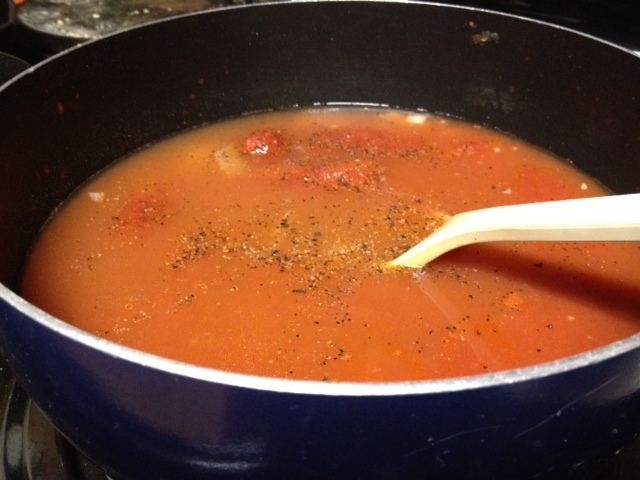 Go ahead and add the chicken stock, tomato paste, and sugar. 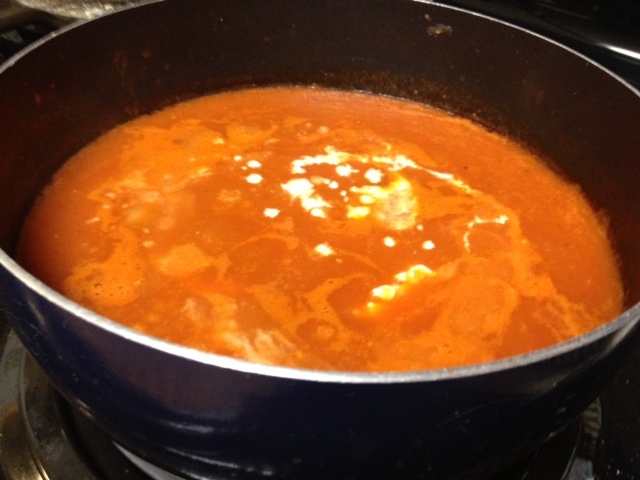 Cook for 15-20 minutes on medium or medium-low—you don’t want it boiling, just lightly simmering. This is what mine looked like after about 20 minutes. Next you have two options. 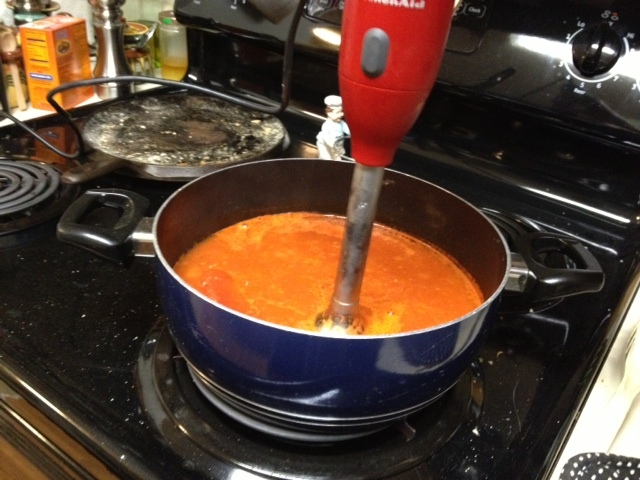 I have an immersion blender, so I just carefully blended the soup still in the pan. Be careful, it’s hot! Otherwise you’ll need to transfer it in batches to your blender and blend. I left some chunks, didn’t want it entirely smooth. Reheat it until it’s hot again. 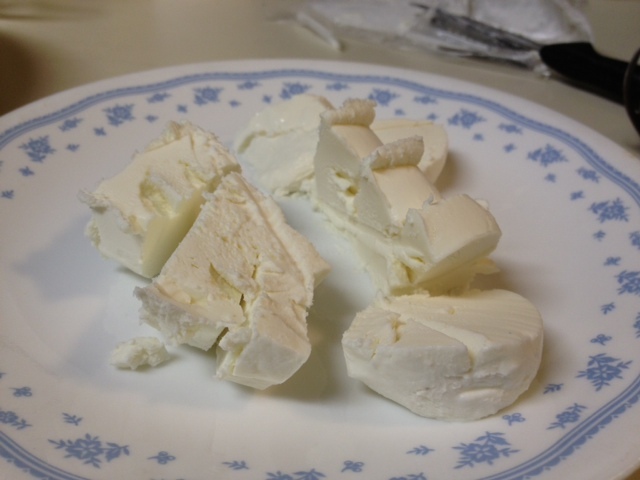 Cut or break up the goat cheese, which should be pre-softened (this will help with texture). Add the goat cheese and cream to the soup, stir or blend to combine, and you’re done. Serve while hot, but it’s also great leftover. 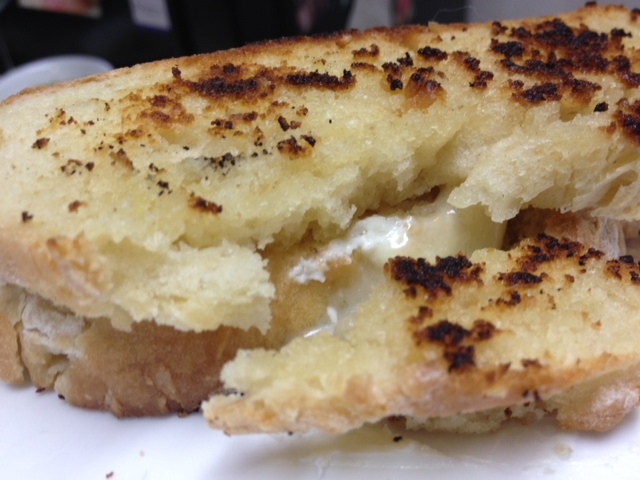 Now if you’re really committed to this whole experience, you can make an awesome grilled cheese. I made some of my 1-Hour French Bread (which is so good!) 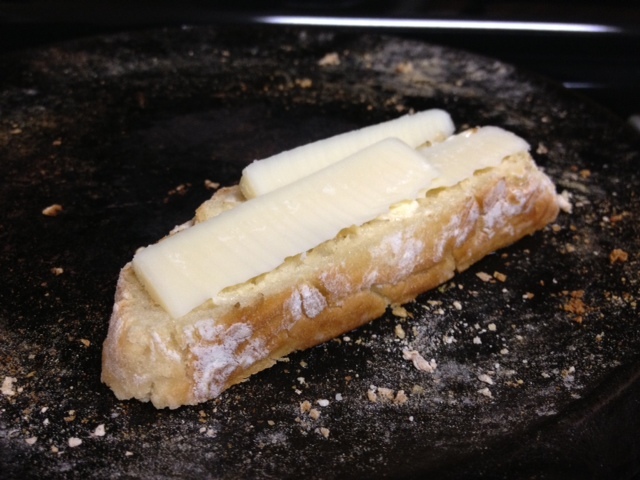 and had some leftover Gruyere cheese. I was stuffed, and it was awesome, fed me for three or four more meals. This will definitely go into my winter rotation this year.